Camping at Idaho’s Craters of the Moon National Monument, can be a real source of religious insight. Looking down from a weather satellite, those black lava fields stand out like a sore thumb. The eruptions began through a 75-mile crack in the earth’s crust more than 10,000 years ago. 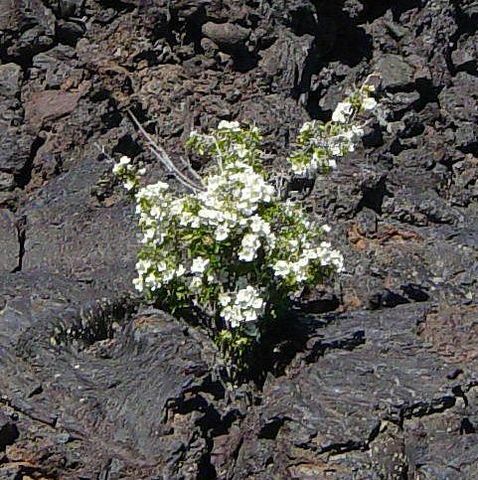 The lava only stopped pouring forth shortly before the birth of Jesus of Nazareth. In person, cinders stretch as far as the eye can see, a thousand square miles of high desert. Big as that sounds, it’s just a sideshow. The really huge blowouts of the nearby Yellowstone Hotspot wiped out whole ecosystems half a continent away. Paleoindians living just 300 miles from these eruptions, wouldn’t even know they were happening. There’s huge, then there’s really huge. Then there’s so big you run out of adjectives. To put this place in real context, an area called the Siberian Traps lies under northern Russia. They’re lava floes a mile deep across millions of square miles. The lava flowed there for a million years back in the Archaeozoic, wiping out 96% of all live on earth. That’s what opened the door for the age of dinosaurs. So I stood at a highway pullout in Idaho a year ago, looking to the black horizon of this finite sideshow of an eruption, feeling all too finite myself. One life form on a small planet in a moderate solar system in one of billions of galaxies. At such moments I have a hard time buying what some folks call “anthropic principles,” or even Carl Sagan’s “We are the universe coming to know itself.” At our best we do struggle to know the universe. What we really come to know, it seems to me, is the painfully counterintuitive reality that what we learn is a lot bigger than what we are. And we grow tinier with every new insight. We’re not the center of creation, nor the measure of all things. The meaning we make is the meaning we are. We struggle and survive and love and bring forth new life and new love. In our heedlessness we too often destroy. When all’s said and done, this atheist suspects, we have one another and the living things around us. When we’re gone the universe will not remember us or even mark our passing. Even the earth will barely notice. And no, that’s not depressing. It’s awe-inspiring. It should also be a kick in the pants toward taking the long view. If our Nth-generation great grandchildren matter, I think it’s on us to be nurse logs rather than heedless eaters of life. Reverence–religion–blesses us with this challenge: to nurture a future in which humanity still flourishes. I looked out over Craters of the Moon’s black fields, miles of lava, cinder cones, spatter cones, rock melted and re-melted, jumbled almost to the horizon. So immense to the eye, yet just a sideshow event on a sideshow of a planet, bringing a glimmer of enlightenment to a tiny sideshow of a person, namely myself. I’ll applaud and subsidize your sideshow if you’ll applaud and subsidize mine. How much more do we have? My eye strayed back from the horizon and lit on a tuft of vegetation, growing from a crack between volcanic boulders. At first it seemed incongruous that a wildflower could struggle up from such barrenness. A couple thousand years of dust must have settled into the bottom of that crack to support it. And a seed blew in. A sprinkle of rain now and then, and seeds have no choice but to try to grow wherever they land. And I think I have it rough! Lava fields are incredibly rugged terrain. Traveling off designated walkways is prohibited, but even if you tried, basalt edges sharp as broken glass would cut even the stoutest shoes to ribbons. Yet everywhere I wandered, grasses and wildflowers sprouted from fissures and low places. It might take another 15 thousand years, but they are going to show the harsh stone who’s boss. It struck me like a flash. T.S. Eliot was wrong. April is not the cruelest month, breeding flowers from the dead land. Flowers breeding from the dead land is an act of heroism, which merits deep human reverence. Ever and always, P-Tr Extinction Event or these lava fields, or whatever the backside of human technology may do to the world our ourselves, life will ever and again venture forth upon the blasted land. If we want the meaning of life, there it is. Human greatness, I say, is a delusion. Achievement is the briefest spark before the relentless winds and limitless tides of time and change. But a seed drills into new soil, a hand is offered to a new stranger. As long as our species endures, that will be all the meaning or achievement that matters.